You’re taking organic chemistry or about to begin your course and you’re extremely overwhelmed. There’s a ton of information that needs to not only be understood, but memorized. How are you going to get through it all? Are you going to finish the material in time to excel on your exams? Are you going to actually understand the principles that you’re trying to learn or are you going to simply memorize and hope similar questions show up on your exam? Most of us have been there. The uncertainty and fear that comes with taking an advanced science course like organic chemistry can be quite overwhelming. The good news, however, is that it doesn’t have to be. When you have the right tools in place to study for this course you’re able to quickly master content and be confident of your performance on quizzes and exams. Let’s explore some of these tools. You cannot do well in organic chemistry by reading the textbook alone. Let me repeat that: you CANNOT do well in organic chemistry by reading the textbook alone. 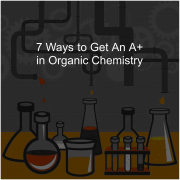 You must do practice problems—most likely thousands of practice by the end of your year in organic chemistry. Practice problems engage you with the material, truly testing whether you understand all facets of the concept. One of the best ways to study for any exam is to perform practice questions on the subject over and over again. Doing the questions, however, isn’t the only part that is important. – it’s knowing why the questions have that particular answer which is of utmost importance and by studying Orgo Made Simple’s explanations to practice questions you’ll learn exactly what question makers are looking for. This not only helps you to learn the subject better but helps you to be a better test taker and increase your exam scores. Who doesn’t want that? I know I do! The only way to learn from these practice problems is to closely study the answers. 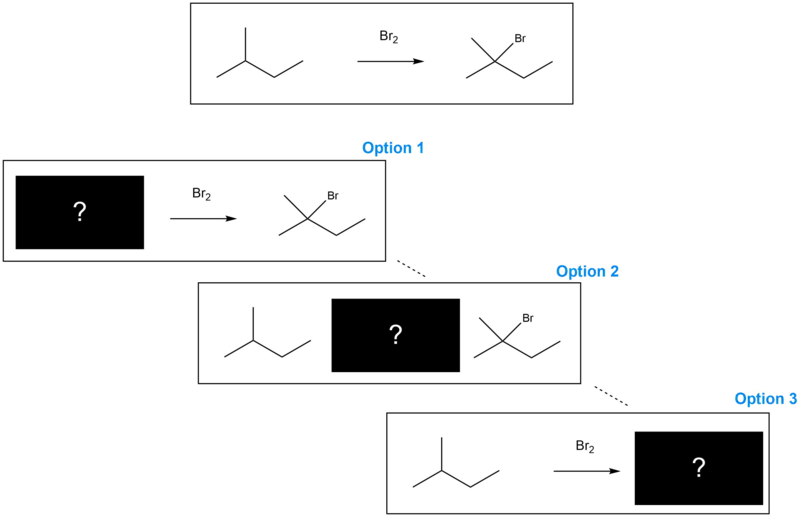 At Orgo Made Simple, we’ve got you covered there! Click Here to Learn More About Our Practice Problems! A study buddy is one of the most underrated tools that a student can use to excel in organic chemistry. When you are studying with someone else, you are a lot more mentally engaged in the material you are learning because you are now having to communicate or answer to another person. This serves to help your mind build stronger neurochemical connections in your brain regarding the subject matter you are studying and the action of outputting this information to the external world helps you retain it. 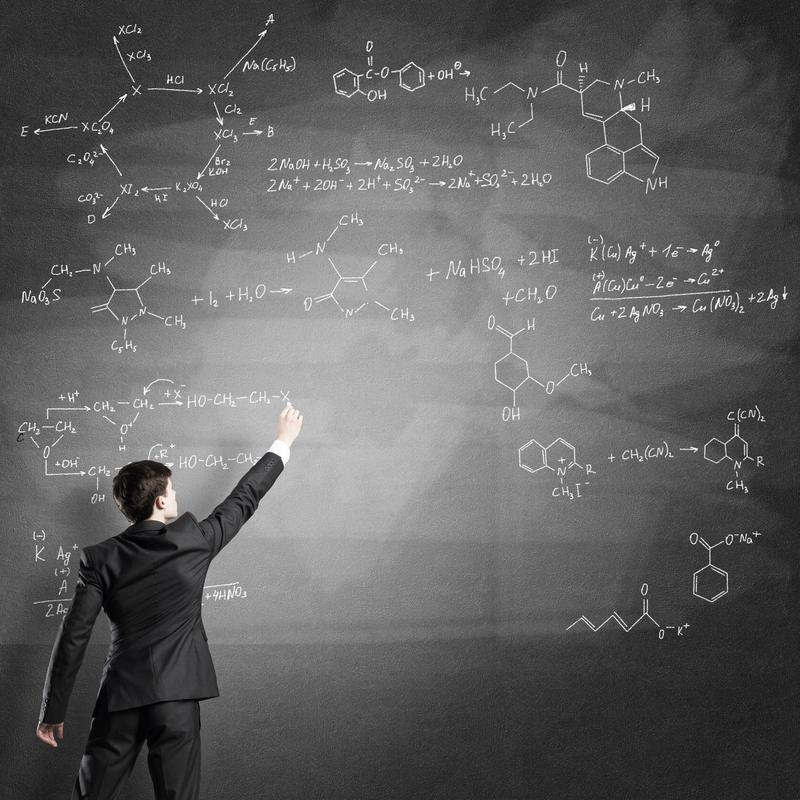 Organic chemistry is a subject, due to its complex nature specifically, that is very well suited for group studying. When studying with a study buddy, each of you can hold up flashcards to one another and quiz one another on what the correct answers are. If your partner gets the answer wrong, you can easily correct them with an explanation that you can give them verbally right then and there. By giving them this explanation you are now engraining that problem and that lesson into your mind because you are essentially teaching someone else a concept. Research shows that when you are teaching someone else anything and you are hearing yourself say it out loud, you’re able to retain this information in your short-term memory a lot longer. The next time you’re looking to take all the organic chemistry up on your own, reach out to a friend and ask to study together. It’s an action that both parties will benefit from and will surely ensure much higher scores on those difficult exams – and oh, don’t we all need those. Organic chemistry is one of those subjects that is filled with all sorts of large chemistry formulas and equations to memorize. Simply staring or reading a page of chemistry formulas is not effective when trying to memorize. 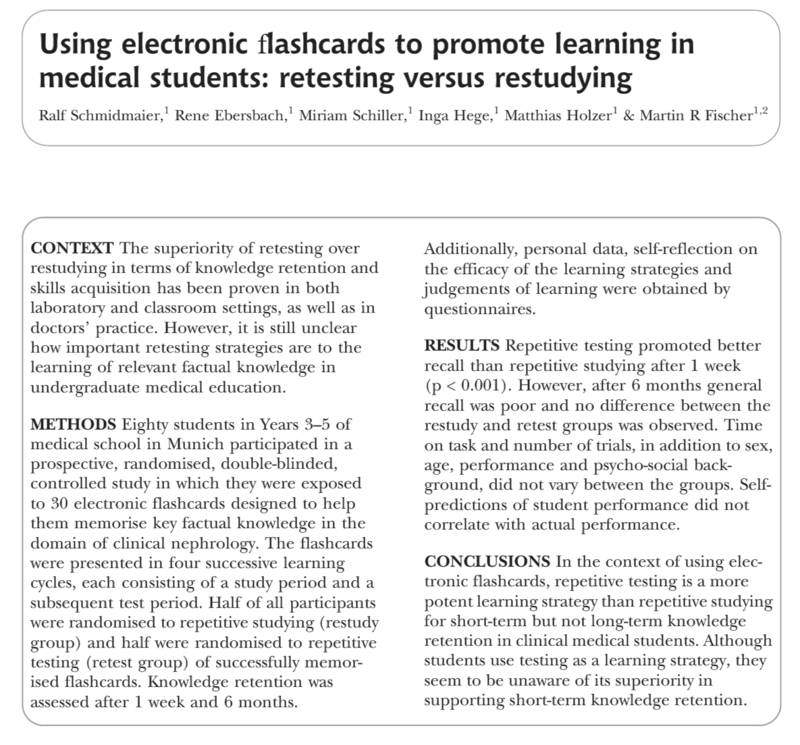 One of the best ways that students study and retain knowledge in any subject, according to a study published in the November 2011 “Medical Education” that tested the use of various study tools by medical students, is the use of flash cards. Flash cards are an easy and simple way to carry study materials too if you don’t want to drag that heavy organic chemistry textbook around everywhere with you on school or campus. Once you’ve written out important chemistry formulas and equations on the card, you can literally carry them with you anywhere and they’re small enough to even fit into your tiny pockets. Whether you’re waiting in a line, on the bus, or just killing time at home, you can pull out your light-weight and small flashcards and start feeding your brain with the organic chemistry that it needs to be fed. One of the most effective ways to study reactions in organic chemistry requires only a flashcard on a post it. First, you write a full reaction you are trying to learn on one side of the flashcard. You then use the Post It to cover the 3 different parts of the reactions, so you are not able to test yourself in 3 different ways! It would also recommend putting the mechanism of the reaction on the back of the flash card. With easy to understand chapter summaries Orgo Made Simple makes it easy for you to quickly go through your chapters while fully understanding and retaining the content. The best part of the chapter summaries are that they break down the complex subject of organic chemistry into something that is simple and extremely easy to understand. One of the main problems students have when studying organic chemistry is getting bogged down in all of the various details and small minutiae contained in each lesson. It becomes daunting to frame all of these lessons together and try to make sense out of them. Orgo Made Simple’s chapter summaries come in to the rescue because they enable students to see the bigger picture and extract the core out of each lesson to focus on what’s really important. Aside from learning what the key points are in each chapter, students become more prepared for topics that may show up on their exams. Click Here to Learn More About Our Chapter Summaries! There’s a common misconception that tutors are for students who are struggling in a subject. But think about this: the goal of a tutor is only to maximize your potential. Therefore, a tutor can take an A student to getting the highest grade in the class, just like they can help a student who might be in danger of failing the class. 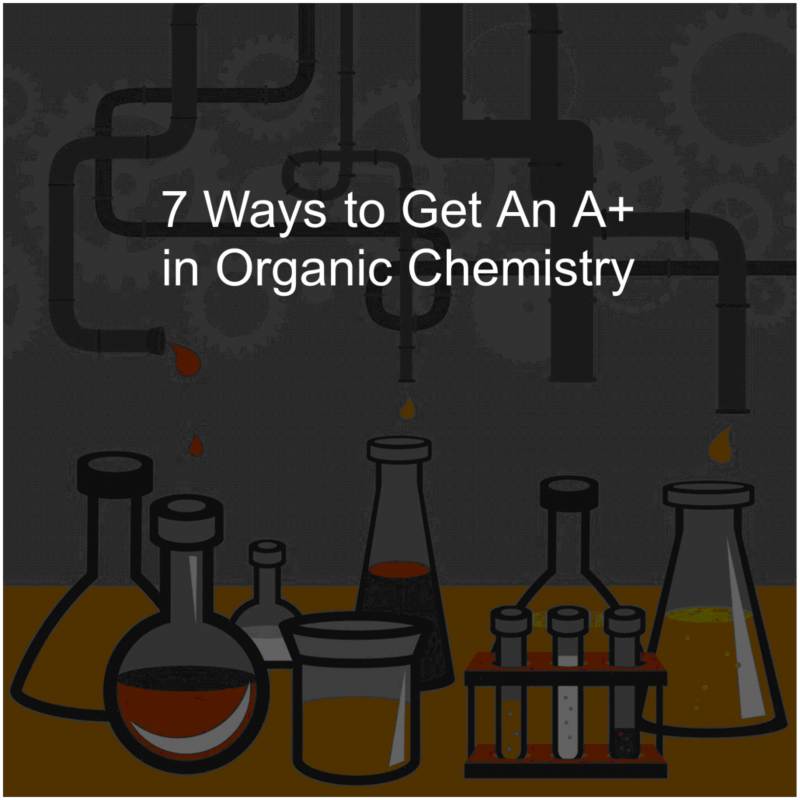 A tutor can be a significant ally in the complex world of organic chemistry. Sure there’s an obvious downside: tutors are incredibly expensive, but the one-on-one, personalized attention from someone will do wonders for your knowledge of organic chemistry. Office hours are essentially a tutoring session led by the person who is making your exam. How could you not go? Professors will often tell you what they think is important, either directly or indirectly throughout the course of the office hours. Plus, they’re free! (well, “free,” but regardless you don’t have to pay any more money to go to them). But be warned: come with questions! Professors don’t just lecture at their office hours. Come with specific questions from either lecture or from practice problems. You will do thousands of practice problems while studying for organic chemistry. Thousands. Problems will blur together, and you’ll hit points where you never want to look at a problem again. How do you break this monotony? The answer is surprisingly simple: use a whiteboard or chalkboard. I have seen this simple act make practice problems significantly more enjoyable for students, which allows them to do more practice questions. Try it for yourself—you might be investing in some Expo markers if you do!